1. Subscribe to my blog via email. This can be found on the sidebar to the left. You have until Saturday, May 22nd, by 11:59 pm. Lastly, Zutter has an awesome sale going on right now. Check it out here! I’ll be back soon with more fun updates very soon. Until then, happy Wednesday. This weekend is pool party time! I love this collection.. and I love you too. Heheehe! This weekend is mommy/daughter time since my DH and son are going camping. 🙂 We are going to do some fun, girly stuff. Great giveaway…that collection is adorable. It’s my middle dd’s birthday this weekend – sleepover followed by a girly shopping spree – I’m as excited as she is! I already subscribe to your site, and I do love your projects. This weekend? Probably go for a Jeep ride with the family and take photos of the mountains and wildflowers! We’re putting in our flowers this weekend and cleaning house. Nothing too interesting! This weekend I will be scrappin’. I’m the class scrapper for my DD’s preschool and I need to finish 15 albums before June 11th! That’s 150 8 1/2 x 11 layouts! nothing exciting:( wish i was though. hubby is working sat, we need to do food shopping. thanks sarah, i just love this line! This line is so stinking cute!!! I would love to win this!! Just met you thanks to the Imaginisce Facebook post, but already LOVE you because I also absolutely ADORE everything Imaginisce. I have been dying to get my hands on Splash Dance since the first sneek peeks started coming out months and months ago. Plans for the weekend: Garage sales, clean house, take 8 yr old to 2 birthday parties, buy groceries, enjoy warmer weather, FINALLY, and hopefully find a few minutes in this mommy’s weekend to spend some time being crafty. What a fun give-away! Thanks for the chance to win. This weekend, I’ll be teaching a class at my LSS. Very cute prize package!! Thanks for the chance to win. Just heard about you through FB. I hope to be spending this weekend working in the yard when the weather allows and when it doesn’t, working indoors on a gift album for my aunt. I hope everyone has a GREAT weekend no matter what they are doing!! pick me! pick me! i think the anchor stamp is awesome. i also noticed you had a bunch of comments within the hour you posted. goodness gracious. I lvoe the sense of movement you capture in your layouts – nice work! As for the weekend – 1 t-ball game, 1 kids’ party and finishing 1 mini album as a gift to my sister from her wedding. If I’m lucky I’ll get some layouts done too. This weekend, we’re hoping for good weather so we can be outside in our garden as much as possible, plus we’re going to a birthday party saturday. I love this line, so bright and cute! Perfect for a summer day! I can’t wait to work on cleaning up my scrapbooking room this weekend. Fun giveaway!! I will be at an out of town soccer tournament for my son’s soccer team (I’m the team mom). They made it to the state level! My sister will be visiting this weekend. We will be catching up on each other’s lives. Well, it’s May 2-4 weekend up here in Canada, so I plan to get creative with my garden! Trying to decide which veggies and pretty flowers to plant…..so many choices! Would love to scrapbook, but the weather is going to be too nice! Hope your weekend goes well! having repairs from the snow damage. Love the giveaway and will be joining the blog too. Oooh I soooo love that paper!!!! Here are our plans for the weekend!!! In the village where we live there is a horsemarket every year at Whitsun!!! So there will be a fair, an artmarket, the horsemarket of course, music and a lot of friends, drinks and bbq!!! It starts Friday and it ends Monday with the horses and a yearmarket!1 On a sunday we alway’s bbq with some friends and the kids!!! Hope you will have a great weekend too!!! We are celebrating my son’s birthday…he’s 12 already!! So we are off for some laser tag and then a party at our house. I just love Imaginisce stuff and just subscribed to this site :). Love Splash Dance (and love you too, Sarah)! This weekend is gardening if the weather is nice, scrapping if it’s not! and am following your blog on my google homepage! This weekend I am taking my 6-year old to a kids craft day at our LSS…. should be fun! Hmmm I think that this weekend we might go to a wedding shower and then hang out in the beautiful weather all the rest of the time!!! I love that it has finally gotten nice here!!!! Thanks for the chance to win!! I am off to subscribe to your blog and I will share the giveaway on facebook! plans for the weekend include, but are not limited to….driving in circles, ballet, piano recital, farmer’s market, grocery store, and swim team functions. Then we’re spending time w/hubby. He has been out of town for six weeks and is finally going to be home for a while. Can’t wait!! Love this line!!! Hope I get lucky! This weekend I will be travelling to the University of Delaware to move my daughter home for the summer. Woohoo! A nice relaxing weekend for me. A little scrapping and alot of Giants baseball! ooo goodie! Well, since I just moved yesterday, my weekend will be spent unpacking and setting up my new scrap room!! I’m spending the weekend with my boyfriend’s sister, doing some photography. Hopefully have some good pics to scrapbook! What a great giveaway prize. The collection is just adorable!! My birthday was yesterday but DH is out of town this week. I hope we can get a dinner out or go someplace different for a lunch. This weekend I’m looking forward to going to Archivers to work on some cards for a card swap I am participating in!!!! I am loving the colors in that collection, YUM!!! For me, this weekend my son turns 4! We are having a teeny party for him on Saturday and my BFF who lives in OH is coming into town for the occasion! So exciting! Have a great weekend, girlie!! This weekend is Relay for Life – a fund raiser for the American Cancer Society. I will go and enjoy the festivities and walk in the Survivor lap. Also hope to get some scrapping in. Awesome giveaway, that paper is too cute! Oh and no major plans this weekend. Hanging out with my kiddos and hubby. Hi Sarah!!! Great giveaway! Thanks for the chance to win. This weekend I am driving down to The OC for my friend’s wedding! How exciting!!!! I am off to tweet you fantastic giveaway! Oh what a FUN giveaway…I adore those colors….OH MY what I could do with this set!!!!! OK…you want to know about the weekend….NOTHING….Hubby is working…it is supposed to rain…so I will be stuck inside and that means I better get my house cleaned and then…..CREATE!!!! Yes…maybe I can find just a few hours to sit quiet and relax!!! Have a great one sweetie!!! Have to attend my younger brother’s wedding. My son is having an angiogram on Friday so just hoping all is okay. So I might be looking after him this weekend if he needs to take it easy. My husband and I are meeting up with our contractor to finalize our kitchen remodel plans that is scheduled to take place next week! I love this line! We love going to the beach and I always take a ton of pictures… these would go great with my pics! Your cards are so adorable! My weekend plans include taking my son to Holiday World in Santa Claus Indiana for a weekend of fun at Splashin’ Safari. We are going to ride the Wildebeast! RRRAARRR! I am going to get started on my babies nursery! Hi, thanks for the oportunity!! I love Imaginisce products and this weekend We Planning to visit to my father in low in Mexico city! I´m a follower and I share you candy in my blog! Hi Sarah, Found your blog from Scrapfreak and I love it! What am I doing this weekend? My son wants to see Shrek 4 in the movies, Saturday night is game night with my sister and Sunday we are going to have to play it by ear. I am doing a craft show! Its my daughters, my moms and my husbands nanas birthday… so Im really busy! Oh and my grandma is coming into town! Well, I do love you:) I will be spending friday night camping and fishing….although we are taking the kids and Anthony and his dad will be out on the boat at night, so we’ll see how this goes..I just don’t know!!! That is a awesome give away… My plans this weekend are the best plans ever. My husband told me that our computer room is going to become my new scrap room. I’m so excited because I will be moving into my own craft room this weekend. Thank you for the chance to win such a awesome prize. I am hoping the pool will be warm enough to start water aerobics with my daughter to relieve some arthritis problems with my back. When that is done, I want to hide out in my scrapping room and create some layouts that having been building in my mind! Plans for this weekend . . . my sister-in-law and her husband are making their first visit to see us in Houston! Our plans, lots of time in the pool, maybe a trip down to Galveston for some beach fun! My weekend plans are to celebrate my daughter’s 14th birthday!! It should be a fun time!!! I cant believe that she starts high school next year where has time gone!! This weekend we will be celebrating my DH’s birthday! We will hit the trails on Friday to enjoy the beautiful weather we are having, Saturday will be work in the garden and yard, Sunday will be family day and then the big celebration is on Monday!!! It is going to be a fun filled weekend and I can’t wait!!! Might even get some scrapping time in there along the way as well! Our weekend plans include soccer, swim lessons (both of those for the kids! ), and getting in some yard work and gardening time. And if I’m really lucky, the kids will both nap and I’ll get some scrapping in – my pile of pictures is getting big! I have an awesome weekend planned! Friday my oldest is graduating from college – Saturday is my scrapping day (and laundry) and Sunday is the big family party for all the May birthdays! You’re welcome to join us! Hope you have a great weekend too! Working on cleaning and organizing my scrap station – it’s totally scrapped up! What a fun new line! Love your products and this package is no exception. Thanks for the opportunity to try to win. This week end I am hoping to be doing some outside work, planting flowers, gardening, trimming shrubs and just enjoying the outside. Hoping the pollen count is low. Love ya Sarah, you’re the best! Can’t wait to scrap with you whenever we finally get to Cali!! This weekend, hmmmmm, can you guess? Duh, scrapbooking of course silly!! =)~ Hugs! I would love this set so if I am not so lucky to win then I must go and buy it!!!! I have tons of water pictures. This weekend I will be doing an indoor overnight with my Daisy troop. Hey honey… What am I doing this weekend??? Hmmmmmm let me think???? Oh yeah… HAVING RAINEE’S CURIOUS GEORGE 6TH BIRTHDAY PARTY… on Saturday and….. getting over the party on Sunday… lol!!! I signed up on the email… thought I was already on it but guess I wasn’t??? how did that happen??? and I’ll add this to tomorrows post… watch for it…. have a lovely lovely lovely evening!! I know that I’m going to be busy this weekend. We have two birthday parties to take the kids to on Saturday. Hey Sarah hope your week is going well. My plans for the weekend are sort of up in the air. I’d like to hang out at the house and get some layouts done, maybe hit the gym and the pool. I’d love a chance to use the new line, I was over looking at the splash dance gallery and there are some way cute things, I love your mini album. Good Luck to all. That line is sooo super cute!! This weekend I work half day on Saturday then its pool time with my family. Sunday I hope to get some scrapbooking done. I hope you have a lovely weekend!! And as always thanks for sharing your beautiful LO’s and projects! I LOVE YOU, SARAH!! LOL!! I am off work until Sunday and I plan on spending most of my time right here in my scrap room!! Got LOTS of things I want to accomplish! I subscribed to your blog, and have posted it on my facebook page!! Thanks BUNCHES for the chance to win! Have a GREAT Day! I have a birthday party to go to for my niece and my daughter has a softball game and then we are maybe gonna do some shopping as my youngest daughter’s birthday was yesterday and she got some money to spend!! Thanks for the chance to win this awesome prize!! We are preparing for my grandpa’s 90th birthday! We are having a large party for him over Memorial Day weekend so we are busy creating family memories for the BIG event! I have a local city festival going on so I will be at parades all weekend! Yay! I’m going to the mall in San Jose (CA). 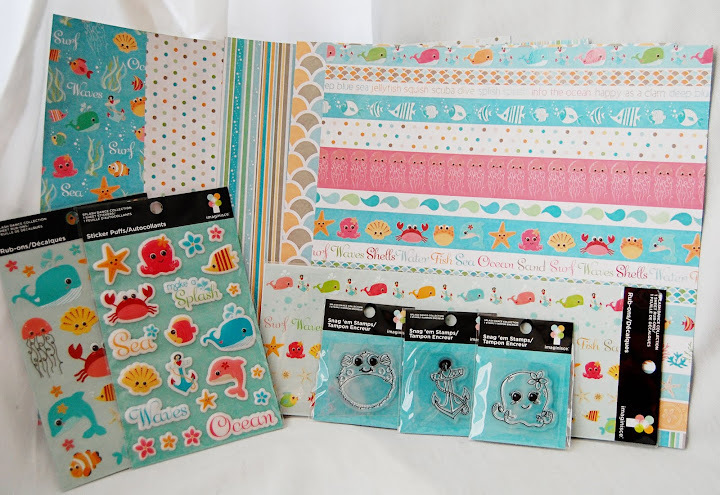 I need some makeup and scrapbooking supplies from the nearby scrapbook store. Nothing special. Super cute! This weekend my husband and I are headed to Houston to visit my brother and sis-in-law, who introduced me to this line. Thanks Jessica! I do love you! LOL! You are so talented and fun! oops… forgot to talk about my weekend plans… I am hoping to scrap if i can!! OH, and lots of loafing around this weekend. I have been exhausted and just want to be a sloth for a few days and relax! You have a beautiful blog. I hope you won’t mind me adding you in my blog roll. I love you!! hehe. I’m going to a crop at my lss on friday, which im super excited about and other than that, no fun plans. my life is pretty dull, hahaaa. Meeting up with old friends for dinner and lots of fun this weekend 🙂 And of course finishing up some pages for my scrapbooking album! Thanks for the chance to win, these are lovely stuff!! I have just recently found you and subscribed already!!! Thsi weekend?I have some events on my sun´s school!Saturday and Sunday! !So I have to go there… and after that rest!! At the weekend I will prepare for the exams. Thanks for the candy! It is beautiful! Hi Sara! I loved your blog. I did not know! Well, I love to draw and could not stay out of this! Imaginisce products are wonderful I love it. I now inscribe my email in your newletters and have been released since his draw in the sidebar of my blog. Also, not to have the danger of losing any novelty here I’ve added you to my favorites list! And what I’ll do this weekend? well it depends, but in all forms is closely tied to scrap! I’m hoping to get my I-top, it’s been over 20 days that made the request, then it should be coming and I’ll get to spend the weekend testing and learning and having fun with my new and long-awaited tool. If you do not get my parents come from the U.S. trip on Sunday bringing some thing to me a comment and I’ll spend Sunday the way they like best, making a comment and with many new materials !!!!! So I hope this kit is also another new material to come to my mobile a comment and I pretty much do with it !!!!!!! Ooooooh, yummy, yummy GIVEAWAY!! I’ll be posting it on my blog…thanks for the chance to WIN! We are hosting a belated Family Birthday Party for our darling 3 year old daughter. This package would make a great birthday gift to scrap her Shamu Vacation photos! This weekend will be catch-up for some painting and scrapping – and probably a trip to the beach. thanks for the chance to win – I am posting it on my blog. i love your blog! glad i found ya! this weekend we are going to my nephews birthday party in north jersey on sunday and and sat.day visiting my dad with my two dd’s and celebrating my 11 yr. wedding anniversary with my dh at night 🙂 have a great weekend! jen t.
How fun! I’m loving Imaginisces party this week! This weekend we are laying sod! Fun huh? Oh, but me, I get to scrub toilets and floors, and do laundry and clean as well as lay sod! lol…. Looooooove that giveaway!! You are such a wonderful woman. My plans for this weekend: going out for lunch with my bf, my mum and her bf. yummy giveaway!! i was thinking of purchasing this line, so cute! this weekend, i hope to do some more wedding shopping, need some dressy shoes for the kids !! what are your plans? I’ll be going to the scrapbook expo in New Jersey this weekend. It’s the first time I’m going and I’m so excited! Sarah, ¡me olvidé contarte mi fin de semana!, es muy importante en mi país porque festejamos el 25 de mayo, nuestro primer gobierno patrio y también el Bicentenario, así que lo pasamos con desfiles, banda militar, chocolateada gratis para todo el mundo, festivales de música para la juventud y muchas cosas más! ¡Viva mi Patria! ¡Argentina, tierra amada!! Just found your blog and love your work. I am in love with this line from Imaginisce. Thanks for the chance to win. My plans for the weekend…celebratory pizza party…celebratory birthday dinner…what can I say? I like to celebrate! I’ll share this giveaway on my blog tomorrow. I love you… I love You…You already know I love you!!!!! I love that you said it is Okay to use our OLD stash… I have so much that I just took out to use this weekend. Yayyyy for using what we already have. P.S. I will be adding to my stash though… The store is small but has some good stuff! this weekend? not good. I have to work. boo! but I will be getting one LO done… I have a challenge due Monday. so no complaints there! have a lovely one! I am having a fabulous water play party for my soon to be 5 year old… He was born early at 29 weeks so this is a wonderful happy blessed occasion! Love love love this new fun happy line! Fun fun fun!! I need this for pool pics!! I love all your inspiration!! I will be working on some awesome challenges for this month! I will be relaxing and hopefully organizing my scraproom… It needs some love! Oops! Forgot to tell you what I was doing this weekend. I will be hosting a crop… Snacks, goodie bags, and fun for all! Oooh! I love that line. Its so springy and well…. it just gets my mojo going when I look at the picture! This weekend, I’ll be packing for a trip to FL, cleaning my house, doing laundry and finishbing up the last chores to prepare for my oldest daughter’s wedding next Saturday 5/29/10. Yea I could use some blog candy for sure!!!!! Forgot to say I posted on Facebook about your fab giveaway! Im going to link this to FB. Im going to be heading out with the girls tomorrow night. I so need that. Im also going to be sending you an email soon and catch you up on somethings. HUGS! OMG Sarah I’m so glad to came to your blog today. I didn’t realize that May 22 is tomorrow. I must get off this PC and get to bed. I almost forgot Josh’s little brother is graduating in the AM. He would have been heart broken had we not been there. Oh my, I can see a very early start to our day tomorrow. You would think on a beautiful long weekend like this I would be hopping in the van with DH going somewhere fun…but he has to work and I feel guilty for being home so I am housecleaning! Oh well, next weekend we will hit the trail! I would love love love this paper! So cute!! Love this collection so much! I am (im)patiently waiting for it at my Lss! It was actually warm enough to swim!! So swim it is! !